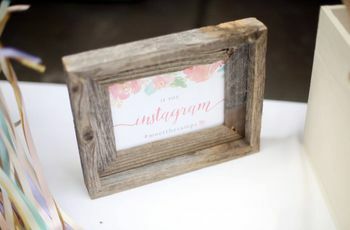 No matter your sign, we’ve got the perfect current wedding trend for your style. Not sure which 2018 wedding trend fits you most? Scroll down to your zodiac sign to find out. Check out your ultimate 2018 wedding trend based on your zodiac sign. Aries (Mar 21-Apr 19): Bold metallic accents and industrial chic venues. Headstrong Aries is the first sign of the zodiac, represented by an aggressive ram and ruled by fiery Mars. You’re full of ideas, in love with the details and have an indefatigable spirit to follow through with it all. Your best 2018 wedding trends will celebrate your fire and desire to build a new world. Metallic accents — glittering golds, romantic rose gold, futuristic silver and the like — will definitely call you this year. 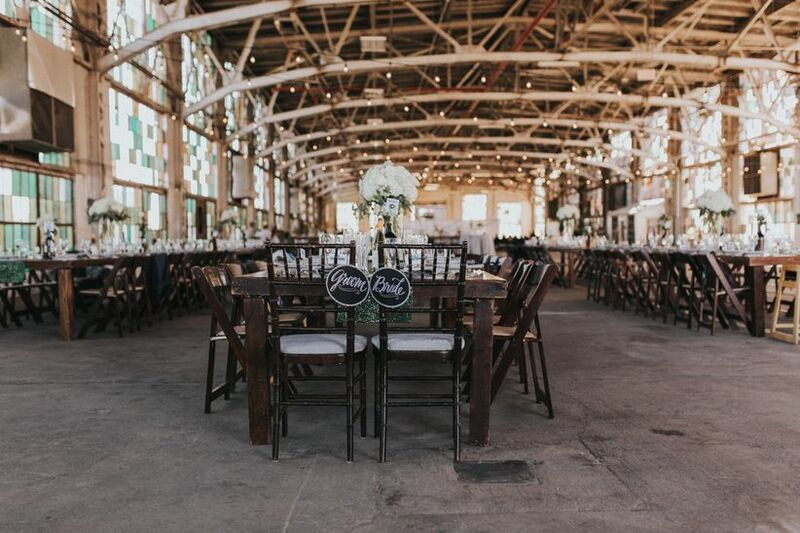 Industrial chic wedding venues also give you the chance to express yourself and create a vision that’s unique to you. Taurus (Apr 20-May 20): Enchanted woodland wedding decor. Trends in general aren’t really your thing, Taurus, and you prefer the comfort of the tried and true — as long as it’s beautiful. You are, let’s not forget, ruled by lovely Venus. As practical as you are, you have a love for the finer things and a knack for living well. 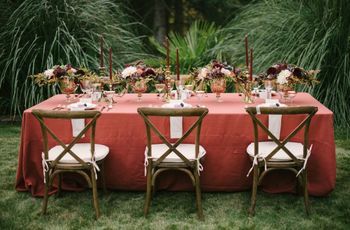 The 2018 wedding trend that will get you really excited, Taurus, is enchanted woodland wedding details. 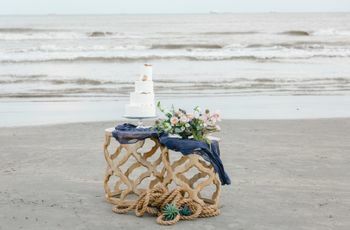 Lush and romantic, there’s still a practicality to repurposing wood and accenting a cake with edible details that appeals to your waste-resistant nature. Gemini (May 21-Jun 20): Bohemian-glam because why choose just one style? While some may focus on the (sometimes) two-faced nature of those born under the twin constellation, what really makes Geminis great is there ability to communicate. After all, they can always understand an opposing viewpoint. That being said, our most open-minded sign in the zodiac can sometimes have a hard time with choices. Bohemian glam, a perfect mix of “I don’t care” and “I care more than is humanly possible,” is really the 2018 wedding trend for Geminis. A nonchalant beach venue with a not-casual, casual fur thrown over your attire? Peak Gemini. Cancer (June 21-July 22): Moody details and deep colors for days. If you’re a Cancer you know you’re basically the Drake song of the zodiac. The crabs are ruled by the moon — the ultimate mother figure and lightbearer, but highly prone to cyclical distemperment. Life for you is feels, mood swings, more feels and different mood swings. No worries, since your sensitive nature lends itself to heightened intuitiveness and extra care for those you love. 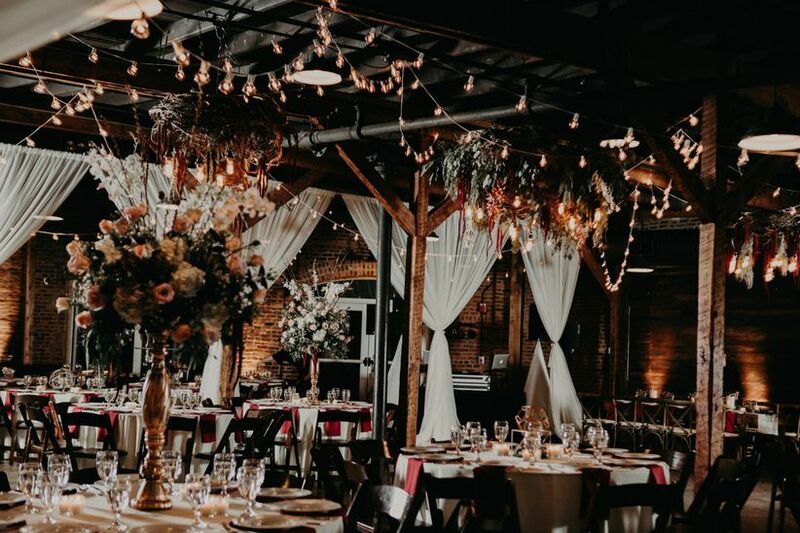 Moody wedding decor details like dense wedding bouquets full of rich shades of berry, black candles and wine-colored suits are the 2018 wedding trends that will certainly beckon Cancers this year. Leo (July 23-Aug 22): Eye-catching puff-sleeved wedding dresses. Ok, Leo, like Katy Perry we can’t stop hearing you roar — not that we’d want to. You’re the zodiac’s loud and proud lion with a fierce, loyal personality and warm, regal energy. Ruled by the blazing sun, you shine in all seasons and invite us all to watch you glow. Your 2018 wedding trend is all about texture — you love a scruffy mane — and making your wedding processional a personal catwalk. Look no further than a puff-sleeved wedding dress to make a serious statement. Virgo (Aug 23-Sep 22): Dreamy dreamcatcher wedding dresses and bohemian decor. Born under the watchful symbol of the virgin, Virgos are earth mothers personified. 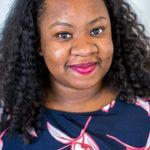 As an earth sign, you love rules, boundaries and order, but there’s a mystical side to you that assigns meaning and beauty to plants, crystals, stones and the earth’s bounty. You’ll love the witchy vibes of dreamcatcher dresses, a very fitting 2018 wedding trend for Virgos. Express your inner free spirit with a full-on bohemian-themed wedding. Libra (Sep 23-Oct 22): Decadent rose gold wedding decor. Didn’t someone say that beauty is really just extreme symmetry? That person was likely a Libra. Ruled by Venus, planet/goddess of love and beauty, and symbolized by the balanced scales, a Libras life’s work is to balance and beautify the world around them, from the inside-out. 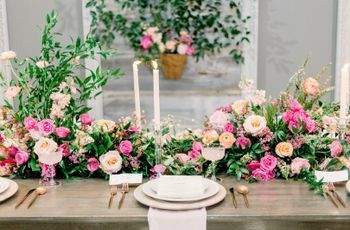 For 2018, the wedding trend these inner romantics will go gaga for is stunning rose gold wedding ideas. From gorgeous, shimmery bridesmaids dresses to tinted decorative balloons to dessert displays, there’s something about this elegant metallic that strikes a chord for indulgent Libras. Scorpio (Oct 23-Nov 21): Up-to-the minute ultra-violet wedding details. 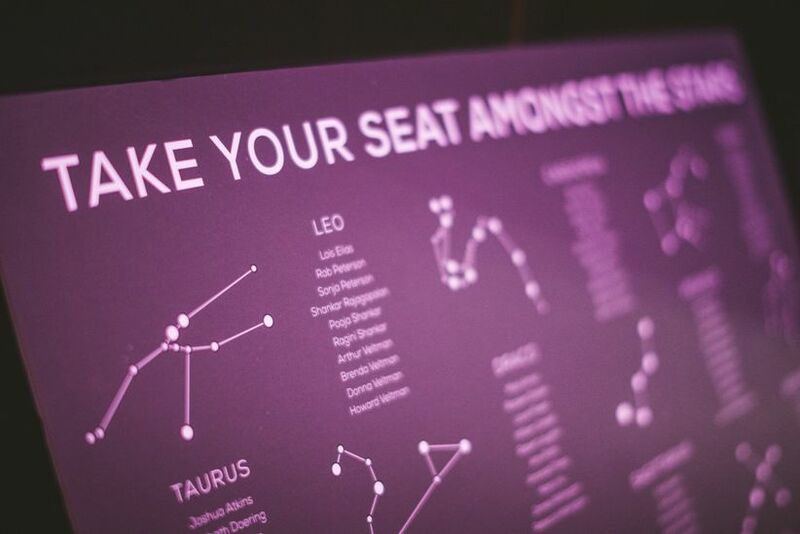 Those born under the Scorpio constellation are a trend-setting, highly personal and seductive bunch. That might have had something to do with why the ancient Greeks assigned them to Pluto, the dwarf planet named for their underworld god. 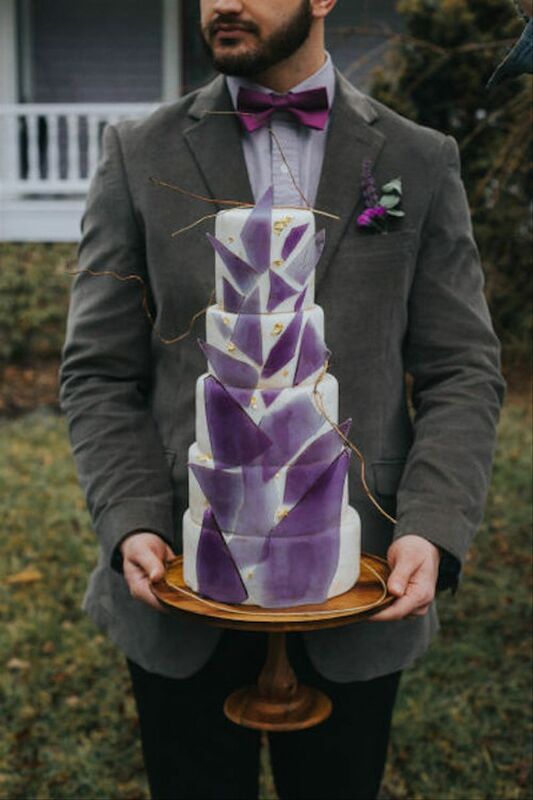 If you’re looking for the 2018 wedding trend most fitting for your Scorpio personality, look no further than the hottest of the hot trends: ultra-violet wedding details. Beyond violet’s royal associations, as a Scorpio, you have the confidence to pull off the styles your peers won’t discover for years to come. Sagittarius (Nov 22-Dec 21): Sick wedding venue views. Hey, Sag, so glad we caught you in between your 7-day hike up the Inca trail and your two-week trip to Nepal. You already know the lucky individuals born under the sign of the archer are the up-for-anything, can’t-sit-still kind of people who barely have time to plan a wedding anyway. We know you couldn’t imagine starting at a wall (no matter how pretty) during your wedding, so your favorite 2018 wedding trend will definitely be wedding venues with killer outdoor views. Whether you’re married in your hometown or the mountains, the desert or the beach, you’ll want to find a venue with amazing views to hold your attention. Capricorn (Dec 22-Jan 19): An undone bouquet of foraged flowers. Like a true mountain goat scaling ungodly heights, you’re in life for the long haul and revel in hard work. Anything too easy is not your bag, Capricorn, and like your planetary ruler, Saturn, you’re all about discipline. That’s why foraged flowers, one of the hottest floral wedding trends of 2018, just seems made for Capricorns. Why buy from a supplier when there’s a more labor-intensive way? You’ll love the less-staged end result that much more because you knew the work that went into it. Aquarius (Jan 20-Feb 18): Starry celestial wedding ideas and wedding crystal decor. Some of the world’s greatest innovators were born under this free-thinking air sign, so it’s no surprise to you, Aquarius, that you march to your own beat. Associated with Uranus, the ancient Greek sky god, and Caelus, his Roman equivalent, keeping your head in the clouds is how Aquarius is able to dream up such great ideas. The English word “celestial” comes from the Latin word for sky, which comes from Caelus, so celestial wedding details are a no-brainer for you. Combine that with some good-vibe-inducing crystal decor, and it’s a good time for Aquarius. Pisces (Feb 19-Mar 20): Romantic moss florals and Old World inspiration. Oh, Pisces, you’re our zodiac’s heart-eyed, water goddess and we wouldn’t have it any other way. Ruled by Neptune, the ancient Romans’ answer to Poseidon, you have an easy-going and romantic charm, not unlike the gentle ocean waves. Your ultimate 2018 wedding trend? Anything that helps transform your wedding day into a love-filled dreamworld just for you, your beloved and your friends. You’ll enjoy moss florals, which are this year’s version of living walls along with gauzy and intricate Old World details.